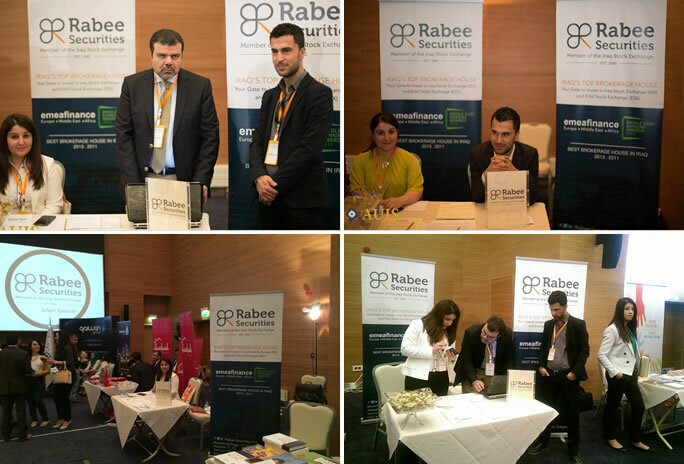 Rabee Security (RS) has participated in AUIS Job Fair in which it was one of the silver sponsors. RS was represented by Rami Yassir, Maryam Torosian and Shwan Raoof. They took the responsibility of explaining to the attendees the core of RS and introducing to them the summer internship program. We shared RS profile with the attendees and the internship program. The job fair was two days long. First day was specified for AUIS students only and the second day it was for public students. We got lots of students who are interested in stock market and eager to learn how ISX works. It was a success and an important opportunity to participate and meet all these students. We are looking forward to receive the vast number of CVs and cover letters through which we will choose 10 students. Please find below pictures from the fair that were posted on AUIS website.